NEW YORK - Jan. 11, 2019 - PRLog -- Correlata, a leading software company that specializes in data center cognitive analytics, helping GlassHouse Systems Inc. (GHS) bridge their clients' business and IT objectives in a more effective way, announced today a strategic technology partnership. This key partnership will enable GHS to offer Correlata's software platform to their clients in Canada and the United States. Correlata's CorreAssess(R) Platform will be incorporated into GHS's service portfolio while GHS will provide a full stack of solutions including pre-sales, sales, marketing activities, integration and support maintenance. Ofer Laksman, Correlata's CEO, states, "We are excited to extend our partnership ecosystem and having GHS working with us as our first partner in Canada. We are honored to have a relationship with one of IBM's top premier business partners." This partnership will enhance GHS offerings to deliver the most innovative set of solutions to utilize IT operational intelligence as a business driver. As a part of the three-year strategic agreement between Correlata and IBM, the company has completed the first stage of building a unique ability that provides, for the first time, the power to bring a holistic view, a choice for x86, IBM LinuxONE and IBM Linux on Z systems under a single information technology management platform. 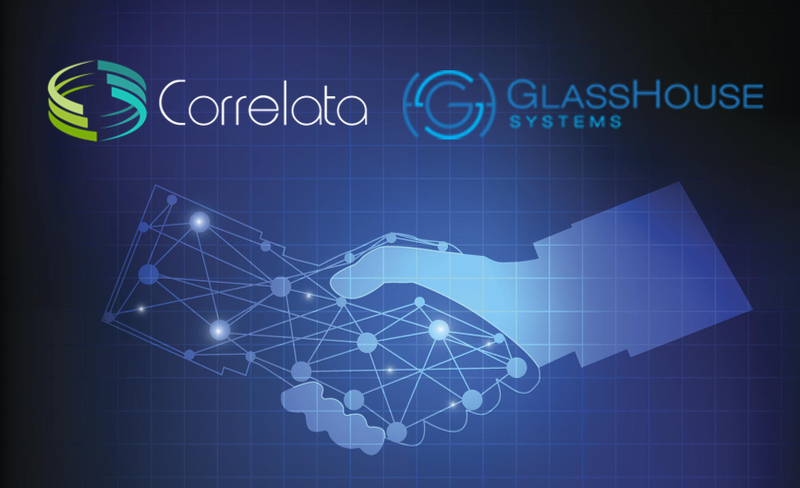 Robert Moniz, P.Eng., President of GlassHouse Systems states, "Including Correlata's advanced analytical engine is a natural extension of the value we provide our clients in providing world-class IT infrastructure consulting and support. The ability to efficiently map business value and risk within our clients' environments allows GHS to deliver increased value and positive client experiences." GlassHouse Systems Inc. (GHS) is a leading enterprise infrastructure and security solution provider, with 25 years experience serving private and public customers across Canada and the US. GlassHouse Systems specializes in providing advanced design, validation, implementation services, remote and Cloud management of storage, server, network, backup/DR and Security solutions deployed on premises remotely managed 24/7, hosted or as SaaS. Glasshouse Systems' experience and technical depth has established its capability to understand the complexity of delivering the value of IT to businesses and assisting them in their journey of increasing IT efficiency and operations through systems such as Correlata. More information can be found at www.ghsystems.com or GlassHouse Systems on LinkedIn.